You must have been looking all over the internet to find a suitable University to pursue your Online Masters. There are several factors you would consider while choosing a University (check out our blog: Choosing the right University). The fact that you are reading this blog is that you either have decided to join Robert Kennedy College (RKC), or are looking for more information. 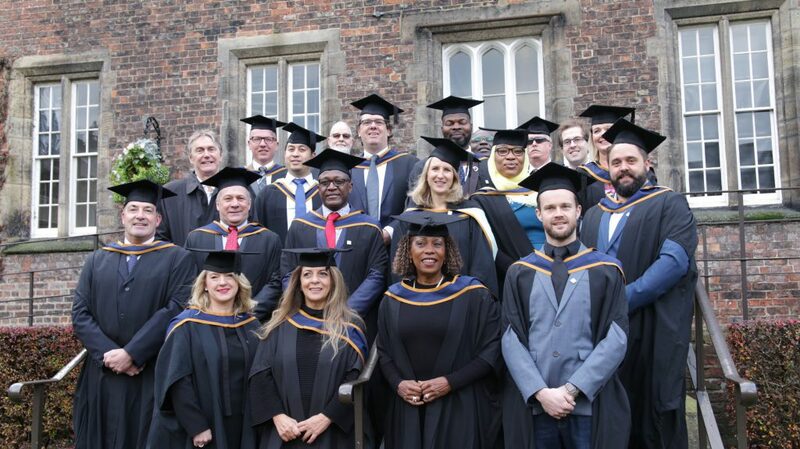 It is natural to be intrigued and yearning to learn more about the University of Cumbria and Robert Kennedy College offering the Masters programmes and understand the partnership between them. This blog is a one-stop shop for all your questions. The University of Cumbria has a long history behind its existence. 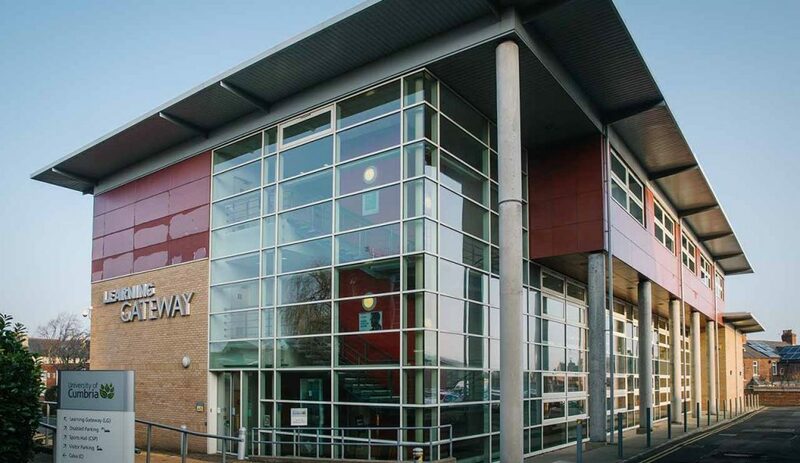 It was formed in 2007 by the merger of St Martin’s College, Cumbria Institute of the Arts and University of Central Lancashire’s Cumbria sites, operating from campuses spread across Cumbria and North Lancashire. It may be a relatively new university, but is steeped in history dating right the way back to 1822. The University is continuing to grow, expanding in geographical terms as well as academic scope. The University focuses on to enrich students so that they can realise their potential and achieve life-changing outcomes. UoC has come along way since 2007 and has achieved laurels in various fields; which ranks it as one of sought-after universities. New Vision: Confidence and consistency; the words that Geoff Donnelly uses throughout his first interview as chairman of the board of the University of Cumbria. The Chairman says, “My task is to ensure we continue to have the leadership and strategy necessary to achieve our goals. He added: “We’re still a new organisation but recent achievements such as 35th in the WhatUni sector rankings, graduate employment results which place us in the top half of the sector, coupled with contracts with Rolls Royce and the growing reputation of our Project Academy demonstrate both our progress and our ambition. 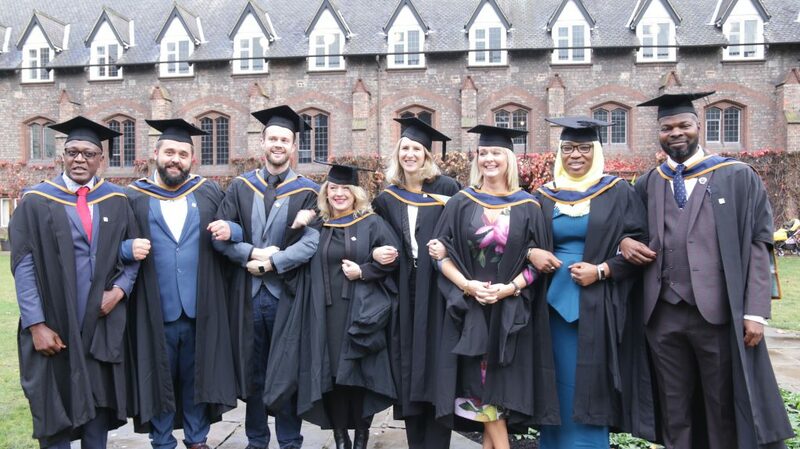 Excelling in Women Representation in Business: In 2009, UoC was one of the eight organisations in the northwest to be awarded the Women’s Business Centre Quality Standard. Creating International Partnerships: The university welcomes students from Robert Kennedy College, who it partnered with for their MBA Awards in 2010. 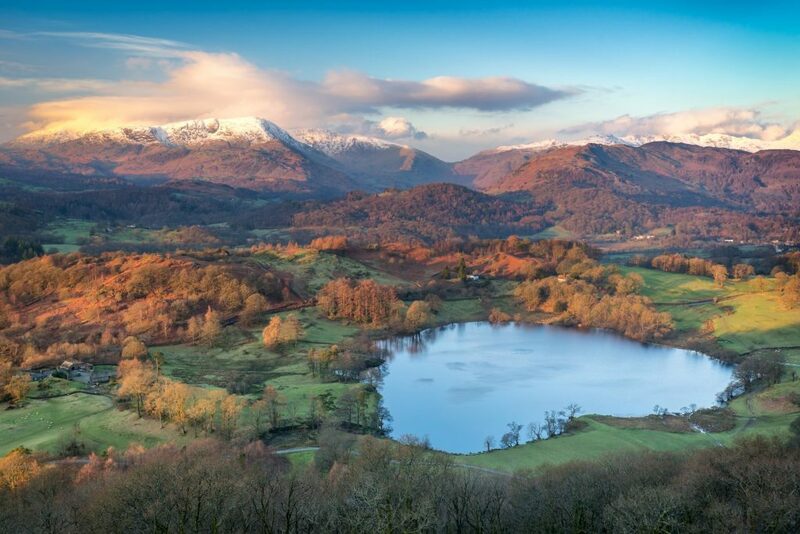 IFLAS: UoC in 2012 launched an Innovative Institute for Leadership and Sustainability (IFLAS) at Ambleside Campus. 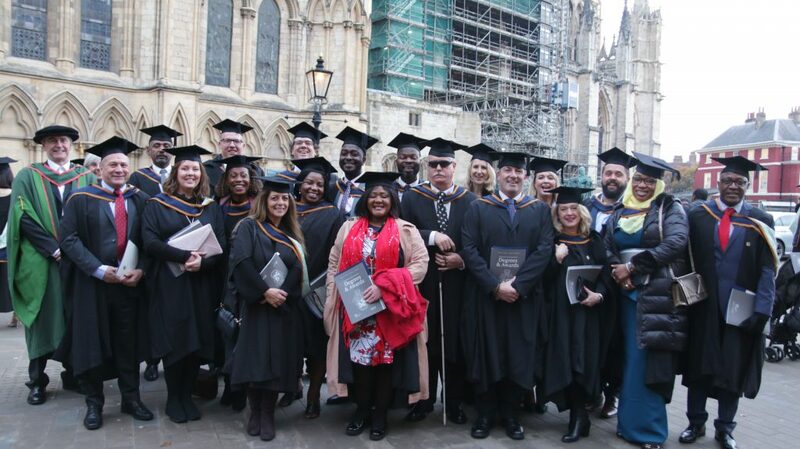 Award Winning University: The University received two Times Higher Education Leadership and Management Awards; Outstanding Student Services Team and Outstanding Finance Team in 2014. UoC hosts 2018 UN World Investment Forum: The Institute for Leadership and Sustainability (IFLAS), based at the university’s Ambleside campus, gathered experts to discuss the underlying technology that powers cryptocurrencies such as bitcoins known as blockchain. MoU with Chinese Government: “The Chinese Government clearly sees the modernisation and the creation of Chinese internationally credible vocational education system as fundamental to the success of the Belt and Road initiative,” Prof Gale said. 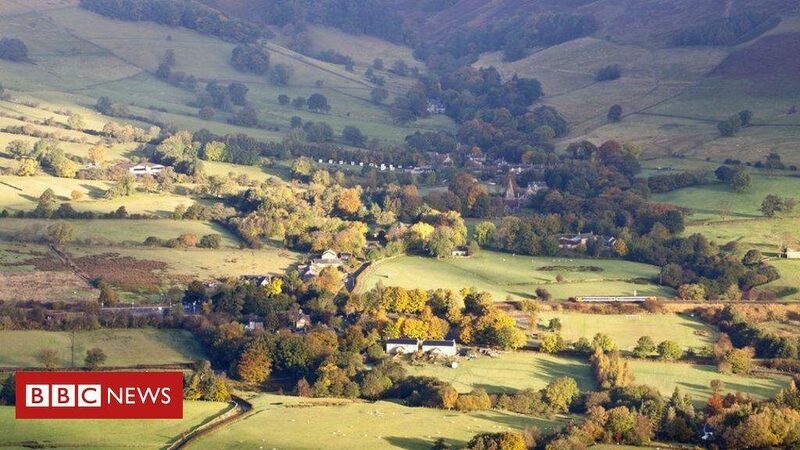 “We signed fourteen Memoranda of Understanding – a clear indication of the value of the trip and a sense that the Chinese really want to do business with the University of Cumbria.” Forestry was the prime area where University found favour. 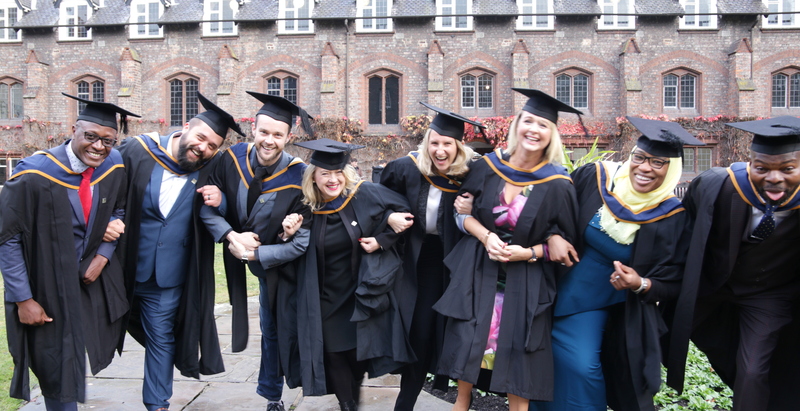 University receives power to Award Research Degrees: In March 2019, The University of Cumbria has been awarded Research Degree Awarding Powers (RDAP), which will allow it to grant research degrees such as doctorates for the first time since the university’s formation in 2007. This achievement comes after more than 18 months of rigorous and in-depth assessment by the Quality Assurance Agency. Its the famous saying that ” A man is known by the company it keeps”. Same is true for the University you affiliate yourself with, for the highest level education. This blog gives you the insight of the history, present and future of the University. 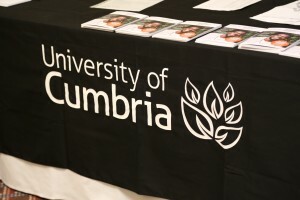 The University of Cumbria is fully recognised by the British Government and duly listed on the United Kingdom’s Department for Business, Innovation and Skills list of recognised UK awarding institutions. Still have questions? Talk to our academic advisors today! What Qualities would land you the dream job? When you are in school or university, you always dream of that dream job that you would like to do after graduation. You earn the crucial academic qualification and gain the necessary knowledge to embark on the professional journey of your life. You may be a fresher or a seasoned professional exploring the job market and may wonder what the employers look for when they are hiring. The hiring process has several layers to it than you as potential applicant can see on the surface. The Job Ad merely states the job description and the key requirements – qualification, experience and skills, required for the job. These are used to for the initial screening and shortlisting. Once shortlisted, when you end up at the interview, the hiring process reaches a different level all together. The employer evaluates you and your personality and whether you are a perfect fit for the job and the company. The employer are really interested to know what you plan for your career, what do you want and how keen you are to work towards it. All interviewers ask this question – Tell us something about yourself. This is your chance to narrate your life story, how you envisioned it and what you did so far to make it vision your reality. This is a huge requirement of an employer for any position! They want to employ a pro-active individual who does not require constant supervision and hand holding; but rather is one step ahead in their work. It is highly critical for an employer to hire an individual who is a great a team player. None of the organization department work in isolation; and there is interdependence and co-existence within departments as well. The success of any organization depends on how well knit the teams work. An ideal hire would be motivated and driven. They should have high personal and professional goals and propelled to achieve them. This will in turn ensure firm’s success and reach its goals. Employers love to take those applicants onboard who they find have assumed responsibility of tasks, at work, outside or home and took on to complete it responsibly. Own the task or situation you are in. 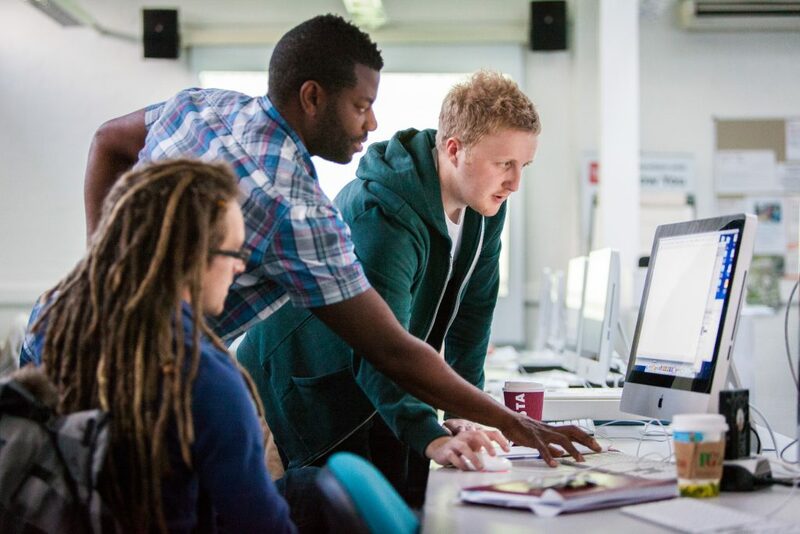 Complete your Masters online with University of Cumbria’s Masters programmes. Contact our advisor today for guidance on the admission process. As human beings we are always in a state of learning and as a professional, learning and self-improvement is the cornerstone of success. Today, professionals have a number of avenues opened to them for learning, whether it is through a structured educational setting like online education or through short term courses and seminars or learning informally through reading and research. While learning and absorbing information is important, the point of the whole thing is lost if you are not able to put into practice what you have learnt. The following are a few suggestions of how you can go about putting into practice what you learnt. Learn relevant: Before joining any programme, it is important for you to identify the reason behind undertaking this learning, both short and long term. Identify how this programme will contribute not only towards your continued professional growth but also the learnings that can hasten your professional growth. Play to your strengths: As a professional, I am sure by now you are aware of both your strengths and weaknesses, what works towards helping you successfully complete your projects in the least possible time. Let your strengths work for you, identify what you have learnt that is in-line with your strengths and if it is relevant to your project use your learnings to your benefit. Feedback is important: One of the most important aspects of examinations and tests is to give feedback to students. To identify the areas where a student is weak so that the student can get assistance in improving in those areas. When working on projects for your organisation and implementing the theories you learnt to practice, try to implement a method of getting feedback in order to refine your implementation. Share your theories, challenges and strategies with a colleague or a former classmate, someone you feel is knowledgeable or a subject matter expert who will be in a position to guide you through feedback. Skill development: Every new theory you learn is a skill and like all skills, it will grow with time, experience and more learning. Practice what you learn and keep a track of its growth, if your skills are not growing then you are not learning. Attend new advanced courses and continually supplement your learning to enhance your skills. Schedule a plan to periodically evaluate your skill growth, set goals where possible to ensure that there is a progression in your learning and keep moving the benchmark, you will find that your career progress will more often than not parallel your skill growth. And always keep an eye out for new learning opportunities and development of new skills. Learning is growing. Phycological, is all: As the saying goes, “it is all in the mind”. Put yourself and be open to new learnings. Don’t get disappointed if you are unable to connect what you have learnt with what you are doing, learning is never a waste of resources. If you are unable to connect what you have learnt with what you are doing then may be all you need is to develop a new skill that will bring it all together or just patience, the project that might require the skills you have already learnt and developed might just be around the corner. Mentor: Finding a good mentor can go a long way in bridging the gap between theories and practice. A good mentor can help you get a clearer understanding of the theories you learnt and at the same time guide you to better implement your learning into your projects. A good mentor can also be your best source for feedback. Learn through mistakes: As will all things, theories can only take you so far, the best way of learning is doing what you learnt. Don’t be afraid to make mistakes but don’t forget to learn from them. Robert Kennedy College with 31 Master’s degree programmesand almost 14,000 students from almost every county in the world offers one of the most diverse, accredited and globally recognised online master’s degree programmes in both Business Law, Leadership and Management through exclusive partnerships with British universities. For more information download programme catalogue. In my last blog, I talked about Entrepreneurship in modern times. It encompassed the various factors that led to the rise of entrepreneurship and why being your own boss is rather beneficial than working for someone else. However that made me thinking, what really makes a good entrepreneur? Having being said that the economic, political and social environment are pro-entrepreneurship and new businesses, not everyone is doing it. And not everyone who tried it, tasted success. There could be many reasons for the failure – wrong product, not the right market, not enough marketing, competition etc. But if I narrow it down to the Entrepreneur themselves – would be right to say – success/failure really pivoted upon the entrepreneur’s Attitude. Failure is actually a learning curve for any individual or organization. As Thomas Edison rightly quote, “ I have not failed. I’ve just found 10,000 ways that won’t work”. This is where ‘Attitude’ comes into play. An entrepreneur with the right attitude never gives up! Most successful entrepreneurs, including James Dyson, Walt Disney, Vera Wang and Steve Jobs, failed several times before winning big. Steve Jobs was even fired from Apple in 1985! Steve Jobs said, “ Don’t Let the noise of other’s opinion drown out your own inner voice”. This holds true for the employees’ of the organization as well. Attitude Or Aptitude? Which is a more crucial trait in an individual; this has been a debate amongst employers, businessmen, financiers and entrepreneurs equally. However if recruiter or entrepreneur has to choose one, they would choose the person with the right attitude every time. This approach is backed up by studies which have shown that our 80 percent of our success is based on our EQ, compared to 20 percent for our IQ. This means that aptitude only accounts for a paltry 20 percent of our success. It has become a famous recruitment phrase – “Hire for Attitude, Train for Skills” – It is easier to train aptitude than attitude. While attitude is positive / negative / indifferent feeling towards a person, object, event or idea; aptitude is a competency to do certain kind of work. One can always develop, learn or harness their skills or ability to do things. It is really hard to change someone’s attitude, that one develops over years, with factors such as family, upbringing, peers, prejudices, media, social, educational, religious and physical factors, influencing attitude. Also, it’s easier to overcome obstacles with the right attitude. Any business or organisation constantly faces new challenges and in such difficult times, its only people with right attitude, determination and resilience can envision and direct the company out of the corporate mess. Always remember, Your Attitude not your Aptitude, will determine Your Altitude! Most master’s degrees will equip students with essential skills that are indispensable in the work place. 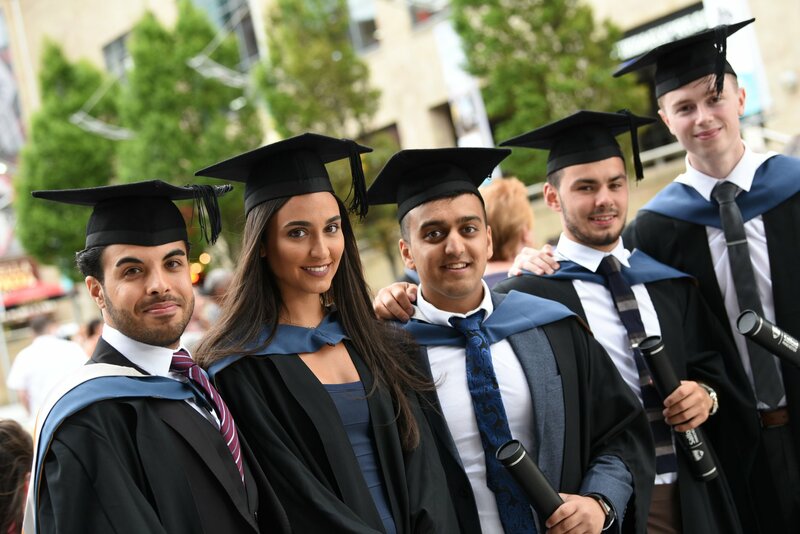 But what most employers don’t realise or take for granted is that master’s degree also equips students with a higher level of skill, discipline and specialist knowledge needed in today’s highly competitive and global business environment. Thus, the importance of properly marketing your master’s degree, highlighting specialised skills and knowledge learnt is vital in securing the career you seek. Do not assume that your employer recognises the value of your degree, after all there are a number of unique master’s programmes out there and you are not the only applicant for the job. The following are a few tips on how you can better market your master’s degree. The importance of education and selling the value proposition of your degree cannot be understated, thus it is important that you believe in the degree that you have worked so hard to earn. Whether your degree is a specialised one or a generic degree, both can add value to an organisation. A generic degree helps students to see the big picture, to better see the various factors that come into play in the functioning of a department or the organisation. A specialised degree will help in distinguishing the applicant in todays competitive job market, equipping the student with specialised skills and knowledge to excel in a particular career profile. Students today are no longer limited to getting an education from their local university or college, they can travel to any part of the world and attend any university for which they are eligible to apply. As a result, most employers might not be aware of the university attended or course completed. This provides you with the perfect opportunity to extol the virtues of your university, from your alumni network to the local/ global ranking, it could be anything that you are proud of and believe can make a positive impression on the employer. 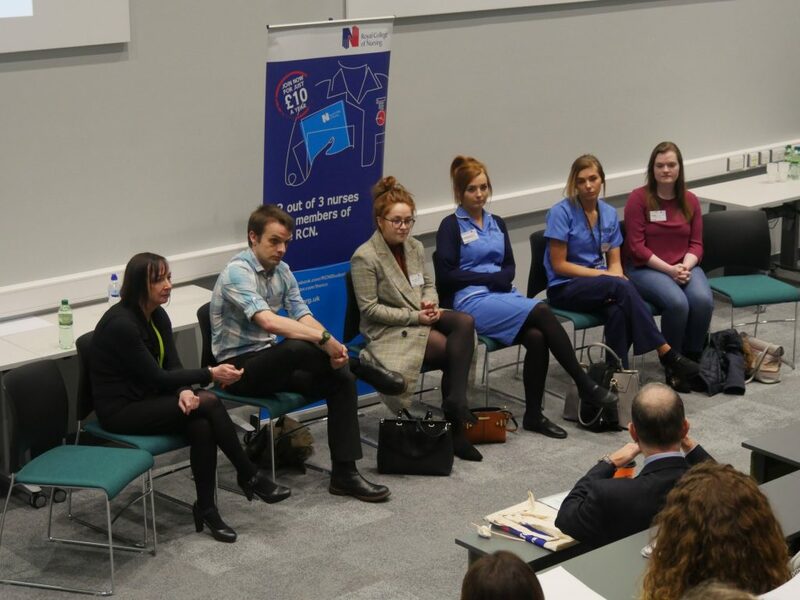 In most cases, applicants (especially those who have returned to studying after working for a few years) would have completed their master’s programme in a subject that they feel passionately about. Which is why they have invested time and money in a programme that would not only improve their long-term career prospects in a field of their interest, but also increase their knowledge and skill in the subject they are passionate about. Don’t be afraid to let this passion be seen by your employer as it will give them a good indication of your enthusiasm and commitment to your field of interest. A passion that will only prove to be beneficial to the organisation. Put yourself in the shoes of your employer. At the end of the day what it comes down to is tangibles – Sales, Production, Operations, Customer Satisfaction, etc., whatever the field, think how you can contribute towards the company’s bottom-line growth and it goals. Talk about the theories, principles and skills you learnt from the programme and connect them back to your prior work experience and the projects you completed. Impress upon your employer the skills and knowledge you can bring to the organisation because of your education, such as – flexibility and adaptability, time management, critical thinking and problem solving, presentation skills and research and writing, to just list a few. Your commitment towards your studies, especially if you have good grades to back you up, is also a good indication of your commitment and will leave a positive impression with your employer. On behalf of the faculty and staff of Robert Kennedy College, I would like to wish all our readers a Very Happy and Successful New Year 2019!! Last decade has changed the business world manifold. Lot of factors contributed to the rapid growth of entrepreneurs. Financial crisis of 2007-2008 played a very important role in this sudden and rapid development. The recession brought with it changes that many took as blessing in disguise. Many talented employees (future entepreneurs) were laid off who started looking for new opportunities. The real estate went to all time low. The costs to do business, machinery, equipment, land, office rentals went down. That created an affordability for small businesses to thrive. At the same time the internet and technological advancement were reaching new heights, propelling the growth of businesses. 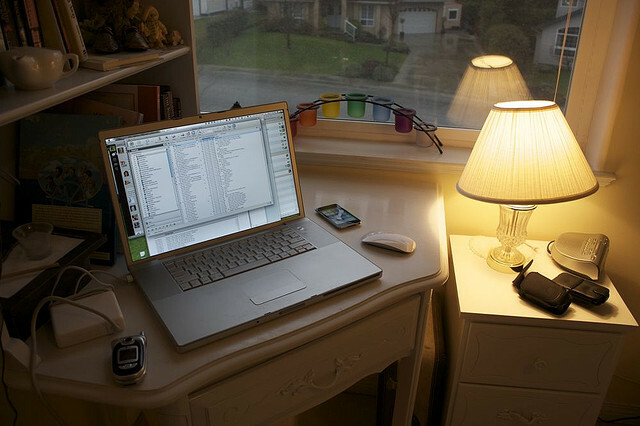 A new era of starting low cost internet-based businesses began. Businesses had all the resources on their finger tips and indefinite reach of internet, as a powerful tool, meant they could expand globally in short span of time. An entrepreneur, is defined as a person who organises and operates a business or businesses, taking on greater than normal financial risks in order to do so. Many experienced professionals turned towards entrepreneurship to get rid of the rat-race. The newer and younger generation, was soon attracted to this new trend of entrepreneurship. 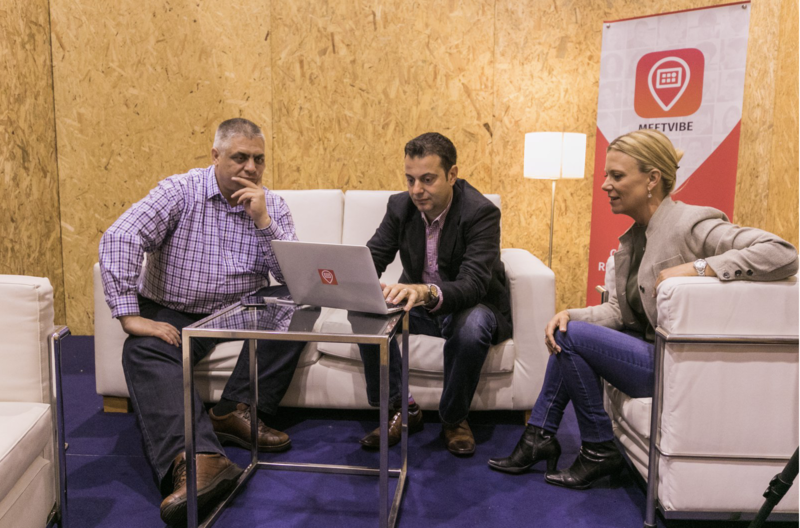 They witnessed the success of other entrepreneurs and opportunity that the new tech-savvy, social media based audience had to offer. Innovation: Bring your unique ideas on the table and set a new niche in the business world. Decision Making : As an entrepreneur you are responsible for decision making for all aspects of business. Profits: You are driven towards profits for the growth of your enterprise and also potential higher returns for your hard work to yourself. Work- Life balance: While establishing a business on your own can be a daunting process, it can eventually smooth out and you can enjoy more free time to yourself for personal development or furthering business. Business is your own asset: The entity you develop is your own estate, an asset that can be further inherited by your family. As an entrepreneur you not only build your own future, but your whole family’s. 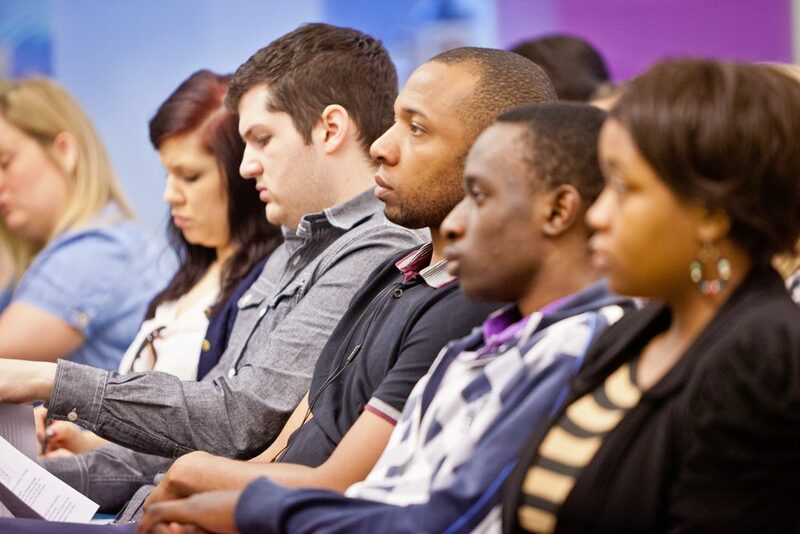 We offer several entrepreneurship programmes, that will help shape your career and start your entrepreneurial journey. We offer Online MBA Entrepreneurship and Innovation. Download the catalogue to find more details about the programme. 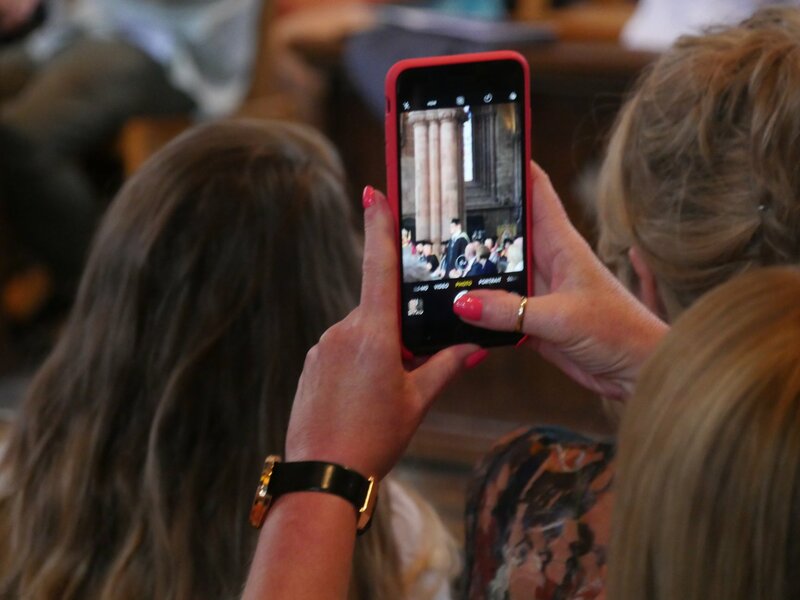 Last month, on a wet Wednesday afternoon, more than 350 RKC students (plus about ten students from other UoC institutions) graduated in the historic medieval Carlisle cathedral. Many of the graduates were there in person to collect their diploma from the Chancellor of the University, the Most Reverend and Right Honourable Dr John Sentamu, Archbishop of York. 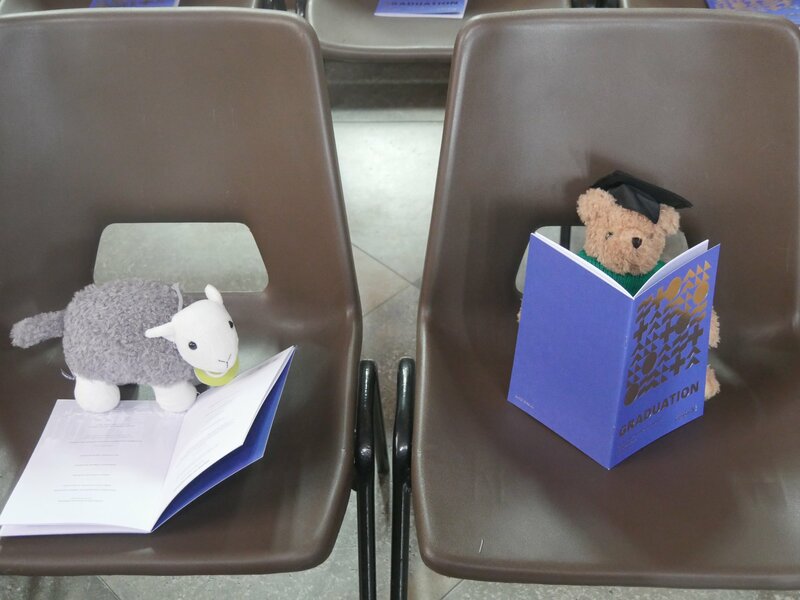 Some graduates had come from far away, and many were supported, often very enthusiastically, by family members who were not fazed by the poor weather. 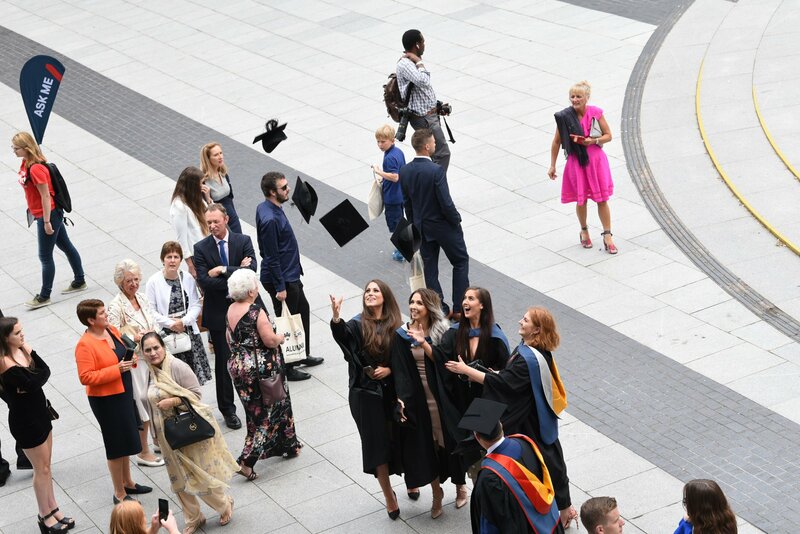 Following the ceremony the new graduates socialised together and with their families and faculty members in a nearby hotel over drinks and dinner. An RKC student, Gregory Foster, graduating with the MBA in Leadership and Sustainability received the university’s Postgraduate Student of the Year prize. 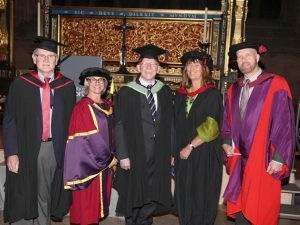 Greg had come all the way from Australia to receive his degree and the award, and is shown below between (left to right) David Duffill of RKC, Caroline Rouncefield, Grace Hurford and David Murphy, all of the UoC. It’s that time of the year again, when I get to travel to York and meet a bunch of our students who have made it all the way! Graduation is a special event, and more so when it takes place in the gigantic York Minster. There is no way to really convey the feelings during such an event, even with photos and video, but short of having been there, you will have to try! Congratulations George and Sarah for all your hard work getting the programme started, and Nigel, Amir, Ann, Rinnah, Sasha, Rula, Tim, Naomi, Joseph, Juliana, Misheck, Hannes, Tina, Mark, Leah, Nicole, Ryanhardt, Mufta’U, Wisdom, and sorry we missed you in the photo Patrick, Seth, Chris, Juan and Macaria – and even sorrier you could not be there Luis, Dawnia, Asuncion, Nicolas, Kourosh and Marilyn. I am thoroughly excited about continuing this great event in the years to come with all of you now in the York MBA programmes! Looking forward to more smiley photos and silly videos! CONGRATS YOU ALL! P.S. stay tuned for some in-depth interviews with the graduates, sharing their challenges and tips and tricks for successful studies. In the last blog, we looked into the admission and qualification requirements for a successful application. Now we continue to explore, how you would fit into the university’s criteria of a suitable Master’s applicant. Another important aspect of your application is the ‘personal statement’. The universities attach increasing importance to the personal statement for shortlisting and finally selecting suitable candidates for their programmes. It’s in the name – Statement of ‘Purpose’ – Present a convincing statement, about your purpose and intent for applying to the selected programme at the University. The statement should clearly indicate that not only you are eligible to enrol and but will also prove to be a valuable contributor to the programme. Keep clear focus. Tailor the statement specific to the University – As in a job interview, candidates are asked why they would like to work with the company; similarly you must include in your statement of purpose, the reasons for choosing the University and applying to it and how the university is a right fit for you. Simplicity is the best policy – Whilst you may feel pressing need to include jargons, sophisticated vocabulary words to impress the reader with your language skills. However a simplistic and straightforward statement, works the best. 4. Include only relevant accomplishments – Do not include your accomplishments spanning from junior high school to undergraduate level. Highlight only those achievements that sync in with your interests and aligns well with your ambitions. 5. Quote..Unquote! – I would advise, stay clear from quotes. You may feel tempted to include a famous saying. It adds, practically, no value to your statement. 6. Watch the length – You don’t want your statement to sound like a drag. Always keep in mind, the admission committee has limited time, to read through and evaluate hundreds of application. Aim for a short and precise statement. 7. Be Yourself – The more the statement describes your actual self and intent, the better, The reader is interested to know your vision and ambition and not the idealistic statements. Stand out from the crowd with a powerful statement. 8. Last but most important – Proofread your document! – The statement of purpose represents You and it can be nothing short of Perfection! On the statement you are judged not only on your writing abilities but also on how serious efforts you have put in your statements. There is no scope of any grammatical or factual errors or misspellings. Are you a suitable Master’s applicant? 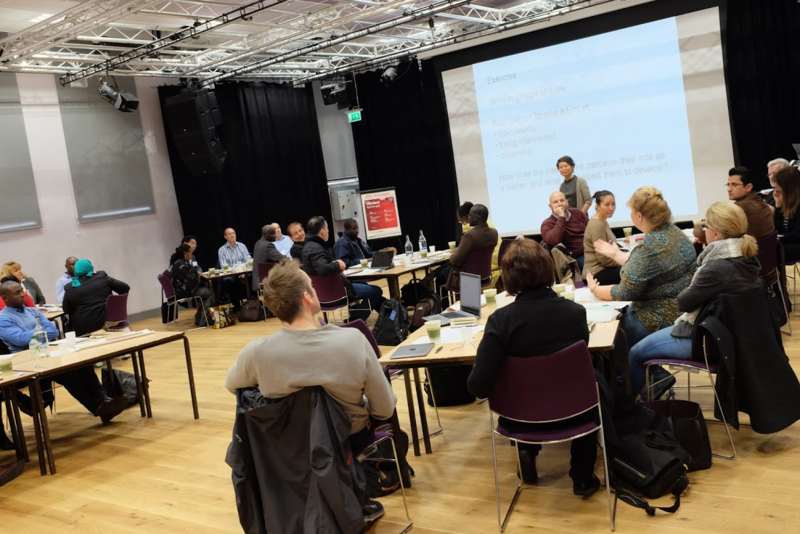 As a former education advisor, this is one of the most frequently asked questions, I heard from potential applicants: ‘what is the admission criteria of the University’; ‘do I qualify to apply for the programme?’; ‘what is required in the statement of purpose?’. So, here are answers to all your questions. I aim to write this blog as a two part series; the first part, unravelling the admission and qualification requirements. And the second part would focus on what an ‘ideal statement of purpose’ should include. The chosen subject – Your interest and passion towards the course: You must demonstrate your background in line to the chose Masters subject and your passion towards it that goes above and beyond what is required in the classroom. Perseverance is the key quality that that will get the attention of the admission committee. Work Experience: The Online Masters’ with its flexibility has become increasingly accessible to the working professionals. The working professionals bring a lot of real life experience on the table and enrich the programme value with their contributions. Hence, the number of years of experience of your resume will have a positive impact on your application. RKC has a minimum requirement of 2 years of work experience. Ability to think, work independently and time management: While the Online programme offers flexibility and ease to study from anywhere in the world; it can be quite challenging to manage the study, assignments, work life and personal life. It could be quite a juggle. 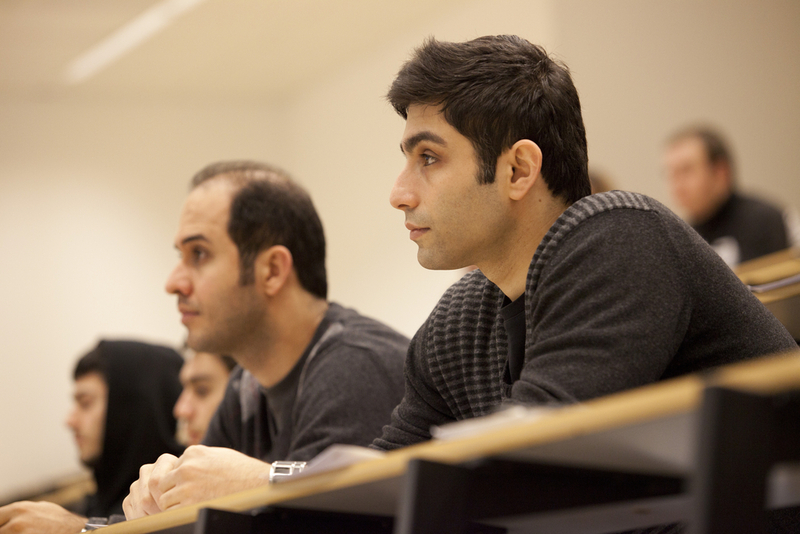 The university expects you, as a Masters student, to be able to efficiently manage the requirements of the programme. References: References are an important part of your application process. 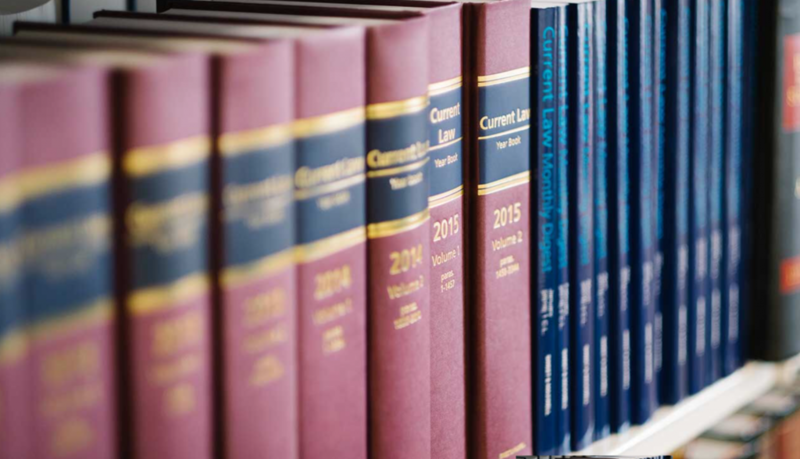 A reference could be your academic or professional references. Though professional (most recent) are considered to be the most favourable. A reference can tell a lot about the applicant : maturity, character, leadership, self-confidence, warmth of personality, concern for others, and grace under pressure. Ability to work in groups: Ability to teamwork is important as well. Most of the course through RKC is conducted online with independent assignments to be submitted online itself. 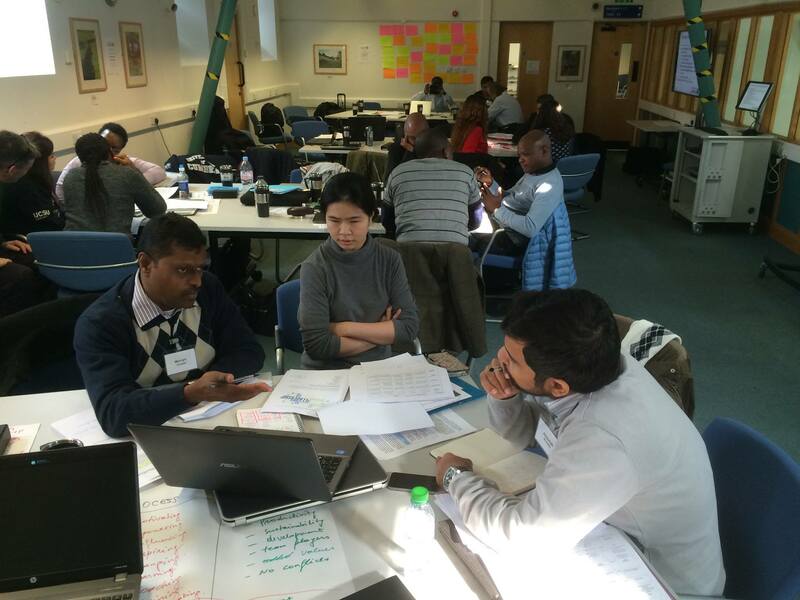 Some part of the modules taught in residency week require group discussions and assignments to be submitted on the basis of such group work. This ability will be reflected in your previous qualification or work experience (as team player or manager) or extra curricular activities. English Language Ability: Since the course is fully taught in English, you will be evaluated for your English language skills, through various aspects – how well your resume is penned; formulation of the statement of purpose; verbal communication skills evaluated by education advisor. For admission with RKC, minimum requirement is: English language at IELTS 6.5 (minimum of 5.5 in each component). (This requirement could be waived, depending your previous qualification or experience in English speaking work environment- reference required –speak to our education advisor today for more information). Now that you have the insiders view of the application requirements, do not delay any further! Apply for your online Masters’ MBA and LLM and Online MSc programmes today and get started for the next intake. Vidhi Chopra on What Qualities would land you the dream job? SHARON KACHUI ZIMIK on What Qualities would land you the dream job?